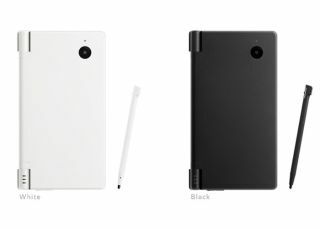 The new Nintendo DSi launches in the UK today and is bound to sell-out immediately, much as any new piece of Ninty-branded gaming hardware always does. But is it worth your hard-earned? £150 is a lot to part with, particularly if you have already got a DS Lite (and, if you are anything like us, a first-gen DS 'phat', a Gameboy Micro, a Gameboy Advance, a Gameboy Colour and so on at the bottom of the kitchen drawer). The real USP with the DSi is the much-improved online features and the new DSi store, with loads of games (old and new) being made available on a weekly basis for you to download. Nintendo of America president Reggie Fils-Aime said this week that the company doesn't want "thousands upon thousands" of games on its DSi download store, while criticising Apple's iPhone strategy of providing thousands of games and apps (of varying quality). Fils-Aime told Wired.com that Nintendo is "taking a film-festival approach — high-class content done by knowledgeable developers in creating fantastic experiences for the consumer — instead of the YouTube approach of everything under the sun that is difficult for the consumer to navigate through." "What we don't want to see is a game that is available on a number of other platforms, either mobile or home, nor do we want to see games that don't take advantage of the unique capabilities of the DS," said Fils-Aime. The DSi costs £150, packs in two cameras and a web browser and stores games, music, photos and fun Nintendo utilities on the in-built 256MB memory or on an SD card. Wired notes that while Japan's DSiWare store already has over 50 games, Apple's iPhone's App Store gets over 150 new applications per day. Check out TechRadar's full and frank review of Nintendo's new DSi.